I was worried that going to the autonomous vehicle exhibition in Stuttgart would be rather like an atheist walking into St Peter’s while the Pope was conducting a mass. There is something religious about the fervour with which adherents to the driverless credo practice their faith and promise us a new kingdom. Their proselytising has indeed convinced many. Politicians are jumping on the driverless bandwagon making outlandish statements like Jesse Norman last week who said ‘our entire use of roads is to be revolutionised by autonomous vehicles’ and pouring large sums – a promised £180m so far – into bizarre research projects which seem to consist of paying for the development of strange robot cars that would be outpaced by Reliant Robins and are only allowed to operate on pavements in Milton Keynes. The public, too, has been won over to this Nirvana. Ask the average Joe in your local or even Basil in his club, and they will sing the praises of a technology which will end carnage on the roads and allow them to check their Twitter accounts or look up the FT website while being driven to work. If the more extreme claims were to be believed, we would already be sharing the roads with driverless cars and we would have to be starting to adapt to this new reality. And what a reality it is supposed to be. We are told by the most evangelical, such as Uber and Waymo, Google’s autonomous vehicle wing, that we will forego our individual cars for the delights of being carried in driverless electric which will be shared use, somewhat like the dockless hire bikes or the street rental schemes like Zipcar that are spreading around the country. This is a strange conflation of three separate revolutions – electric, shared and driverless which would have enormous societal impact and yet which are presented by the tech companies and some politicians as desirable, feasible and inevitable. In truth they are none of these things and all three of these changes are fraught with obstacles: there is a shortage of battery capacity in the world, people like having their own vehicles and they are hesitant about putting their lives in the hands of a computer. The world of driverless vehicles is dominated by discussions around the six levels of autonomy which range from none at all at Level 0 to Level 4 where cars drive themselves all the time but retain controls such as pedals and a steering wheel that can enable drivers to take over and Level 5 where there is no human involvement possible. The Holy Grail would be Level 4 as Level 3, where drivers need to be constantly aware of what the car is doing as they might have to take over in an emergency, has proved to be unsafe as people at the wheel become inattentive and fail to intervene promptly. The auto manufacturers have, therefore, tended to focus their predictions on when they will reach Level 4. Michael Hafner, Daimler’s head of Automated Driving , for example, told Autonomous Vehicle International, a magazine handed out at Stuttgart, ‘In 2020/21, in addition to highly automated (Level 3) vehicles, we will also bring fully automated (level 4/5) driving to market. Several firms are making similar commitments with 2021 – just far away enough for us to forget when we get there – being a favourite, though others mention dates as late as 2025. However, read those press releases carefully and for the most part they talk of trials, tests and pilot schemes not the widespread introduction of these cars. The reality is that there are no driverless cars anywhere today, not even in Silicon Valley, in the sense of a vehicle that could be left to its own devices to face the major challenges of navigating the complexity of city streets or even the hurly burly of an A road. Nearly all the ‘driverless’ cars on the roads have an operator on board to take over in the event of an error and these interventions are frequent. And as the accident in which a woman was killed by an Uber vehicle under test in Arizona shows, failure to intervene can be fatal. Earlier this year, I wrote a short book, Driverless cars: on a road to nowhere, on my scepticism about this technological future and consequently I thought that going into the vast hall at the Stuttgart Messe with its 80 exhibitors and 1,500 delegates would be entering an environment as hostile as an Isis stronghold. I could not have been more wrong. None had bought into the Waymo dream and many are as sceptical as I am. The exhibitors were nearly all suppliers to the industry, their names mostly an awful mangle of the English language – Velodyne Lidar, Spirent and gestigon – and their products a terrible tangle of acronyms. The exhibitors’ descriptions of what they were selling ranged from the almost prosaic such as to the utterly incomprehensible, like the radar testing equipment that was somehow linked to a simulation of a vehicle travelling at great speed on a motorway that was, apparently, much cheaper than the alternative of installing it in a vehicle. There was hardware, too, such as a $300,000 device that contains five cameras and Lidar (a version of radar using laser signals) that can map a road down to the nearest millimetre and numerous providers of ways to help testing, such as Spark, a 500 acre ‘facility’ for testing driverless cars in Michigan that includes a specially made road tunnel to test whether equipment still works underground. The OEMs (original equipment manufacturers, the new name for vehicle makers) stayed away as they have nothing to show yet. Consequently, there were few cars and none that were remotely driverless. One, a huge SUV, seemed to be there solely to demonstrate equipment that enables a driver to point at a building to reveal its purpose and book a table if it were a restaurant or buy a ticket if it were a cinema. Lars, the guy demonstrating all this with great enthusiasm, tried to convince me that this would change my life. His argument lost further credibility when he let out the fact that the video demonstrating this capability was actually from the video game Grand Theft Auto. One of the other cars was a Streetdrone, a version of the Renault Twizy fitted with various cameras and sensors but which is designed to be fitted with more equipment in order to test autonomous solutions. They told me they had sold four. There were, in fact, more predictions of doom than of Waymo’s shared driveless future coming to fruition. The most stark came from Tim Mackey, who styles himself ‘senior technical evangelist’ for Black Duck, a company which specialises in security issues around autonomous vehicles. He is convinced that there is going to be a seminal event that will force all the players in this industry to take note: ‘We have had it in other areas of computing, such as the big data hacks and security lapses, and it will happen in relation to autonomous cars. At the moment, none of the big players are thinking properly about security aspects and then they will be forced to.’ He points to a video showing on another stand where a man is calling up his car from his garage using a phone app: ‘That sort of thing is just too easy to hack. There’s all sorts of software put into cars that is old and easy to access. We just have to hope that the wake up call will be minor and not kill anyone.’ Already, a few years ago, in a test, hackers acting for a company testing out equipment, were able to get hold of a car’s steering and braking system and Mackey is convinced that criminals will one day use the same method. There was a more general expectation that these suppliers are riding the crest of a wave which will hit the rocks some time soon. While there is no doubting the scale of this industry with billions of dollars being invested every year into developing this technology, none of the OEMs has yet made a single penny from selling a driverless car and there is no expectation that they will any day soon. This money, benefitting these exhibitors, is therefore a punt, a very high stakes bet that there is a pot of gold at the end of the rainbow. One of them, Johannes, told me: ‘i see a pattern that is like the dotcom boom. At some point, people are going to realise that the day when they start to get returns for their investment is very far off, if ever. Then they will start pulling out and who knows how bad it will get. But the clever money will move somewhere else.’ The bad publicity caused by a couple of deaths in Tesla cars while its ‘Autopilot’ was engaged and by the Uber fatality may be seen as the start of public disenchantment with the concept. While lots of these people may lose their livelihood if this happens, there is a more damaging side effect of this obsession with a technology that no one has asked for. Johannes, who understandably did not want his company name mentioned, added: ‘At the moment, this area of science is taking up all the interest. I have friend who nearly became an astronaut and she is a cosmologist, but now she is working on developing algorithms for these things. That is what everyone in the science world seems to be doing’. He adds that there is little independent research being carried out as professors and other senior academics working in this field are mostly paid for by tech companies. 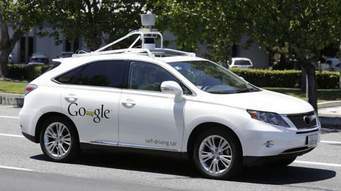 This pursuit of driverless cars is therefore doubly worrying. It is not only crowding out possible other better ways of improving transport, but also stymieing scientific developments. Yet, of the 20 or so exhibitors I spoke to, not a single one believed that this technology would be widely used by the public within a decade. There are a myriad problems with this technology ranging from insurance issues and how to address potential conflicts between driverless and conventional cars to the limitations of the technology and the resistance of the public to travel in them. Rather than making fatuous statements from politicians about how driverless cars will change our lives, we need a sober assessment of their potential benefits, if any, and of their downsides.